Home / Blog articles / Eat for Victory! This post was written by Clare from Eat for Victory – she is a Pig Pledge supporter (www.pigpledge.org), nutritional expert and is helping people learn about and immerse themselves in their good, clean food roots. 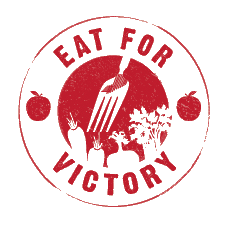 For more information visit http://eatforvictory.co.uk/. 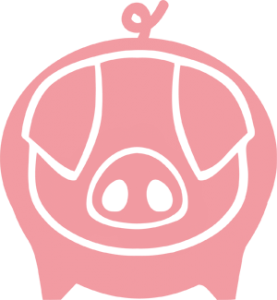 Know your producers and support sound practice – sign the pig pledge! As you know, I am always harping on about the importance of knowing where our food comes from. How many of us can trace our produce back to the grower or producer? There was a time when all of our food would have been grown locally or nationally. We would have formed a relationship with our retail outlets at the very least, who would in turn have this kind of information to pass on to us. It’s not just a way of increasing our Christmas card list, it’s a fundamental part of our welfare. It’s now at the stage where some children think chicken comes from Tescos and a grow bag might refer to the cellophane tomatoes are wrapped in. So why is this lack of knowledge to our detriment? In a nutshell because I would rather find out the truth about what I eat than quite literally be fed lies. Ok perhaps ’lie’ is a rather strong word, let’s just say the truth can be masked by the glossy gift paper some of our our food is now wrapped in. There are now a number of stamps on our produce – the Red Tractor, RSPCA / Freedom Food, Soil Association, fair trade, free range – the list goes on! I’m confused, I don’t know about you! These labels are now a little ambiguous in part, which is another reason why it’s best to find the information out for ourselves. “But we haven’t got time” I hear you cry! Make time I retort! This is potentially a matter of life and death comrades! Seriously though is it not better to really experience the value of your food? By that I mean what you are buying into – the health of you and your family / the welfare of yourselves and animals / the nutrient content of your fruit and veg / the environment, not to mention being more connected to nature / your community and yourself. And if you don’t have time to do the research then chose a valuable group that does, such as the soil association. Note: some smaller farms can’t afford to register with the soil association, but may still be producing ethical, organic produce which is another reason why it’s good to get this information directly form the producer. The landscape of our farming is changing at a fast rate and we need to start voting with our shopping baskets. Can you be sure that the meat you buy is free of antibiotics? The veg free of pesticides and other agro-chemicals? You deserve the best quality food ole fruits! 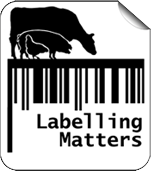 On that note please allow me to introduce a campaign close to my heart – Farms Not Factories. It’s about putting a stop to intensive factory farming and supporting more humane methods of producing meat and traditional farming methods. You may not see yourself as an animal lover but if you value yourself and your family you should look into how your meat is produced.